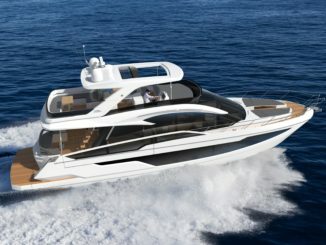 Continuing its celebration of 60 years, Sea Ray launches a new model of its world-renowned SLX 350 sport boat at the Miami International Boat Show, Feb. 14–18. Sea Ray’s brand-new SLX 350 hosts an array of features designed for an excellent on-water experience and optimal performance. Powered by a pair of Mercury® MerCruiser® 6.2L engines with Bravo Three® drives, and controlled via a joystick Axius® Propulsion System, the enhanced SLX 350 sport boat delivers a superior ride and unrivaled handling. NextWave™ innovations, such as quietRIDE™ technology featuring Tuned Transom®, and optional Dynamic Running Surface™ further elevate the luxury sport boating experience. 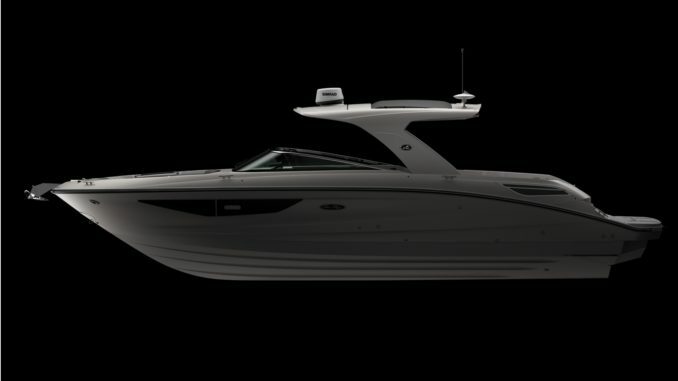 The updated SLX 350 sport boat offers a reimagined seating layout that is best-in-class with room for 18, anchored by a cockpit social area and “concealable” transom loungers. A fiberglass hardtop, with optional extended cockpit sunshade and bow shade, provide ample coverage from the elements. The intuitive helm comes standard with dual 9-inch Simrad® touchscreen information displays including Mercury VesselView® Link Data, chart plotting maps, depth and fish-finder capabilities. The new SLX 350 sport boat builds on the success of the prior SLX 350 model – with a significant added convenience, the Port Hideaway®. The interior Port Hideaway provides a relaxing air-conditioned space designed with families in mind. 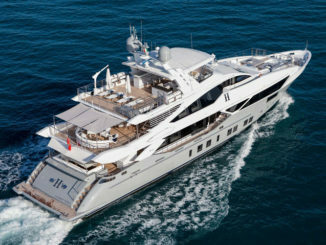 “Our owners have provided feedback that they love the larger dayboats, but could extend their day or weekend even further with an expanded cabin space. 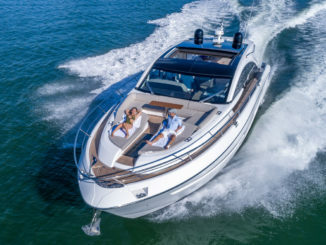 The SLX 350 sport boat provides just that, an inviting space with an expanded cabin, comfortable plush seating, air-conditioning and a television,” said Brad Zoelle, Sea Ray vice president of category management.